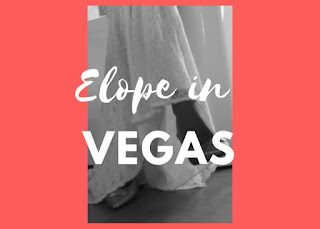 To anyone who knows myself or my husband, there's no question that our favorite place to have an adventure is in Nevada and these adventures always begin with flying into McCarran International Airport. There are slot machines in the airport. Yup, it is true. You'll find slots at the gates and at the doors before you leave the airport. 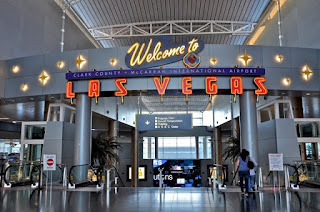 There are plenty of games and fun to be had on the Vegas strip so I don't ever stop to play these when we arrive; however, if when you're leaving your flight is delayed and you just didn't get enough yet I say go for it! Use Uber or Lyft. The only people who say use a cab are people who are not confident enough to try using something new (although Uber and Lyft are not that new anymore). 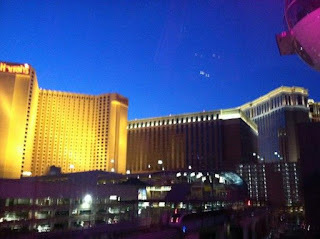 Coming to Las Vegas and having to take a cab was the worst experience for my husband and I for years. We tried city busses, shuttles, and renting our own car just to avoid being long hauled by a cab driver. I am so happy to use Lyft. This is quite easy to do and you won't meet someone who has used it and said, "Oh, I wish we took a cab!" The only people who say use a cab are people who are not confident enough to try using something new (although Uber and Lyft are not that new anymore). Quick How To: Get the app on your phone. Set up the log in and it will ask for a credit card or debit card to keep on file. 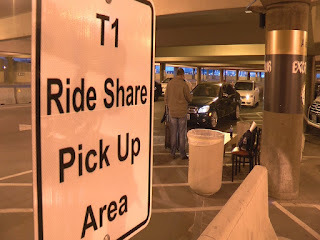 When you grab your bags at the airport, you will see signs for ride share which eventually lead you outside to the garage. There are usually many drivers waiting in the garage below and therefore I don't request my car until we get to the garage. 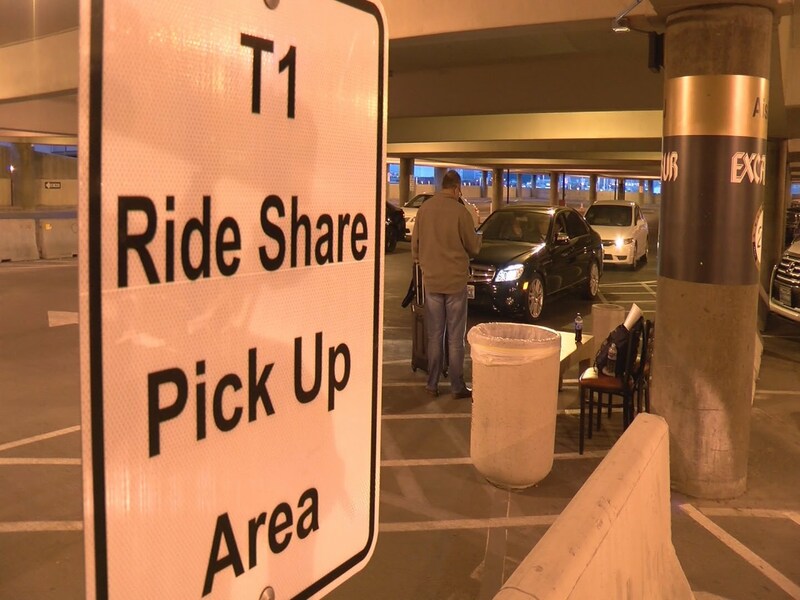 Once at the garage, or maybe from the baggage carousel, open your app and request a ride. It will ask for location and then give you the driver with a name, car type, and license plate. It's really that easy. When your driver arrives, they will greet you with a smile and many even provide water bottles to sip on as you make your way to the strip. When you arrive at the hotel, you can tip the driver using the app. Thus, no fishing for cash and no awkward exchange of money. It's so easy. A quick thank you and goodbye and you and your bags are rolling into the doors of a beautiful, majestic resort on the Vegas strip! Side note: We use Lyft over Uber as a preference, but I believe your experience will be similar with either company. Good to know. In the past, we used cabs. Going to try Lyft the next time.